Welcome to the Nibiruan Council’s home on the worldwide web. The Nibiruan Council is a multidimensional off-world group comprised of members from both the planet Nibiru, and member worlds of the Galactic Federation. 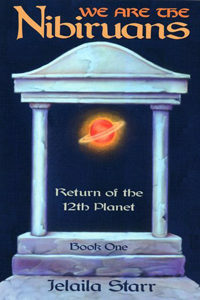 This site was commissioned by the Nibiruans’ ancient elders, the 9D Nibiruans. It’s purpose is to support the missions of starseeds, walk-ins, and light workers, while sharing the wisdom of unconditional compassion. 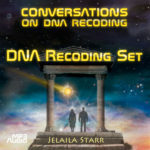 Jelaila Starr is a messenger and channel for the 9D Nibiruans. 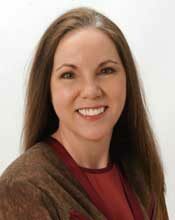 Through her video blog, Jelaila’s Messages, the Nibiruans share their wisdom of unconditional compassion. Donations enable us to keep Jelaila’s Messages free. What is the secret history of Planet Earth? What are the ET origins of the human species? What is the hidden purpose of the so-called junk DNA in our bodies? Who are the Nibiruans and why are they sending members to Earth? Jelaila Starr gives us the answers. Gain a better understanding of the Walk-in and Starseed phenomenon, why they are here, and what they are doing for the planet. You can see inside We Are The Nibiruans for a taste of what is to come. Both downloadable and paperback versions are available in our Shop. Click on the cover for more on the downloadable version. The Nibiruans reveal their work to help prepare mankind to face the final challenges that stand between them and their divine destiny as universal peacekeepers. 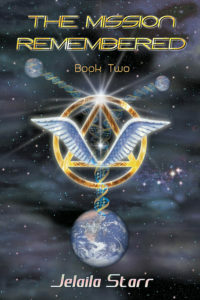 Journey with Jelaila as she discovers the nature of our birth as a species, our stellar home worlds, and the events of our galactic past as revealed to her by the Nibiruans. Experience the inner workings of a mission and what it really means to fulfil it. Whether you are aware of your mission or have your boots squarely stuck in the mud, The Mission Remembered will help you find your way. You can see inside The Mission Remembered for a taste of what is to come. Both downloadable and paperback versions are available in our Shop. Click on the cover for more on the downloadable version. Realigning, reconnecting and activating the 10 dormant DNA strands brings the psychic glands back to full functionality while creating a 2nd neural network. Altogether this process enables you to return to your natural state as a multidimensional being, able to enjoy the benefits of living in the 3rd dimensional world with a multidimensional mind. Much of what is written on this site goes against what we have been taught. As with any channeled material, read with an open mind and use discernment. Research the information; confirmation has been left within the writings of ancient civilizations (see the Reading List). When you know why you know what you know, you become unshakable.